Events in the year 1979 in Israel . The Prime Minister of Israel is the head of government and chief executive of Israel. Menachem Begin was an Israeli politician, founder of Likud and the sixth Prime Minister of Israel. Before the creation of the state of Israel, he was the leader of the Zionist militant group Irgun, the Revisionist breakaway from the larger Jewish paramilitary organization Haganah. He proclaimed a revolt, on 1 February 1944, against the British mandatory government, which was opposed by the Jewish Agency. As head of the Irgun, he targeted the British in Palestine. Later, the Irgun fought the Arabs during the 1947–48 Civil War in Mandatory Palestine. April 1979 – The Israeli developed and produced battle tank Merkava was first introduced to the IDF forces. 22 March – The Knesset approves the peace treaty between Israel and Egypt. 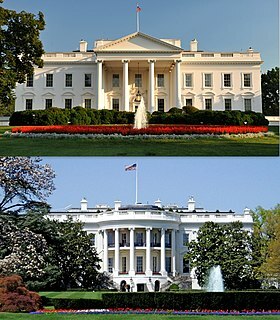 26 March – In a ceremony at the White House, President Anwar Sadat of Egypt and Prime Minister Menachem Begin of Israel sign a peace treaty. Egypt thus becomes the first Arab country to officially recognize Israel. 31 March – Gali Atari and Milk and Honey win the Eurovision Song Contest 1979 for Israel, with the song Hallelujah . April – nearly nine years after the decision to produce it was taken, the Israeli developed and produced battle tank Merkava was first introduced to the IDF forces. The Knesset is the unicameral national legislature of Israel. As the legislative branch of the Israeli government, the Knesset passes all laws, elects the President and Prime Minister, approves the cabinet, and supervises the work of the government. In addition, the Knesset elects the State Comptroller. It also has the power to waive the immunity of its members, remove the President and the State Comptroller from office, dissolve the government in a constructive vote of no confidence, and to dissolve itself and call new elections. The Prime Minister may also dissolve the Knesset. However, until an election is completed, the Knesset maintains authority in its current composition. The Knesset is located in Givat Ram, Jerusalem. The 1978 South Lebanon conflict was an invasion of Lebanon up to the Litani River, carried out by the Israel Defense Forces in 1978 in response to the Coastal Road massacre. The conflict resulted in the deaths of 1,100–2,000 Lebanese and Palestinians, 20 Israelis, the internal displacement of 100,000 to 250,000 people in Lebanon, and the PLO forces retreating north of the Litani River. It led to the creation of the UNIFIL peacekeeping force and an almost complete Israeli withdrawal. A prisoner exchange or prisoner swap is a deal between opposing sides in a conflict to release prisoners: prisoners of war, spies, hostages, etc. Sometimes, dead bodies are involved in an exchange. Palestinian political violence refers to acts of violence or terror motivated by Palestinian nationalism. These political objectives include self-determination in and sovereignty over Palestine, the "liberation of Palestine" and recognition of a Palestinian state, either in place of both Israel and the Palestinian territories, or solely in the Palestinian territories. Periodically directed toward more limited goals such as the release of Palestinian prisoners in Israel, another key aim is to advance the Palestinian right of return. 22 April – 1979 Nahariya attack: A group of four PLF militants, led by the 16-year-old Samir Kuntar, enter Israel from Lebanon by boat and infiltrate the Israeli town of Nahariya, located ten kilometers south of the Lebanese border. The squad murder four Israeli civilians, including three members of one family: Danny Haran and his children, Einat Haran (age four) and Yael Haran (age two). 13 November – Israeli Ambassador to Portugal Ephraim Eldar was wounded during an attack carried out by Palestinian militants. During the attack a security guard was killed and an embassy chauffeur and local policeman were injured. The 1979 Nahariya attack was a raid by four Palestine Liberation Front (PLF) militants in Nahariya, Israel on April 22, 1979. Samir Kuntar was a Lebanese Druze member of the Palestine Liberation Front and Hezbollah. He was convicted of terrorism and murder by an Israeli court. After his release from prison as part of the 2008 Israel–Hezbollah prisoner exchange, he received Syria's highest medal, honored by Iranian President Mahmoud Ahmadinejad, and designated a Specially Designated Global Terrorist by the US government. 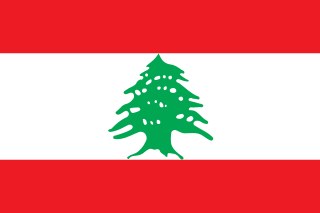 Lebanon, officially known as the Lebanese Republic, is a country in Western Asia. It is bordered by Syria to the north and east and Israel to the south, while Cyprus is west across the Mediterranean Sea. Lebanon's location at the crossroads of the Mediterranean Basin and the Arabian hinterland facilitated its rich history and shaped a cultural identity of religious and ethnic diversity. At just 10,452 km2, it is the smallest recognized sovereign state on the mainland Asian continent. 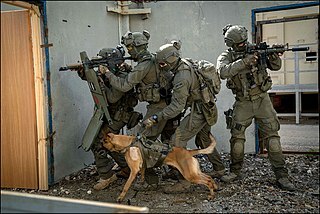 Counter-terrorism incorporates the practice, military tactics, techniques, and strategy that government, military, law enforcement, business, and intelligence agencies use to combat or prevent terrorism. Counter-terrorism strategies include attempts to counter financing of terrorism. The term military campaign applies to large scale, long duration, significant military strategy plans incorporating a series of inter-related military operations or battles forming a distinct part of a larger conflict often called a war. The term derives from the plain of Campania, a place of annual wartime operations by the armies of the Roman Republic. The founding of the community settlement Ashalim. 11 March – Keren Peles, Israeli singer. 29 June – Yehuda Levi, Israeli actor and model. 26 July – Rona Keinan, Israeli singer. 9 August – Salim Tuama, Israeli Arab footballer. 29 August - Ehud Tenenbaum, Israeli cracker known as "The Analyzer". 13 November – Subliminal, Israeli rapper. 19 April – Shlomo Perlstein (born 1902), Austro-Hungarian (Galicia)-born Israeli politician. 20 June – Yisrael Yeshayahu (born 1911), Yemeni-born Israeli politician and minister. 10 November – Mahmud Al-Nashaf (born 1906), Israeli Arab politician. 14 August – Yehoshua Rabinovitz (born 1911), Russian (Belarus)-born Israeli politician. 16 November – Rachel Yanait Ben-Zvi (born 1886), Russian (Ukraine)-born Israeli author, educator and a leading Labor Zionist. 26 November – Binyamin Shahor (born 1916), Israeli politician. Full date unknown – Abraham Schalit (born 1898), Austro-Hungarian (Galicia)-born Israeli historian. Moshe Dayan was an Israeli military leader and politician. He was the second child born on the first kibbutz, but he moved with his family in 1921, and he grew up on a moshav. As commander of the Jerusalem front in the 1948 Arab–Israeli War, chief of staff of the Israel Defense Forces (1953–58) during the 1956 Suez Crisis, but mainly as Defense Minister during the Six-Day War in 1967, he became to the world a fighting symbol of the new state of Israel. In the 1930s, he was trained by Orde Wingate to set traps for Palestinian-Arabs fighting the British and he lost an eye in a raid on Vichy forces in Lebanon. Dayan was close to David Ben-Gurion and joined him in leaving the Mapai party and setting up the Rafi party in 1965 with Shimon Peres. Dayan became Defence Minister just before the 1967 Six-Day War. After the October War of 1973, Dayan was blamed for the lack of preparedness; after some time he resigned. In 1977, following the election of Menachem Begin as Prime Minister, Dayan was expelled from the Labor Party because he joined the Likud-led government as Foreign Minister, playing an important part in negotiating the peace treaty between Egypt and Israel. Events in the year 1993 in Israel. Events in the year 1992 in Israel. Events in the year 1991 in Israel. Events in the year 1989 in Israel. Events in the year 1987 in Israel. Events in the year 1985 in Israel. Events in the year 1983 in Israel. Events in the year 1982 in Israel. Events in the year 1981 in Israel. Events in the year 1978 in Israel. Events in the year 1977 in Israel. Events in the year 1975 in Israel. Events in the year 1974 in Israel. Events in the year 1973 in Israel. Events in the year 1970 in Israel. Events in the year 1969 in Israel. Events in the year 1956 in Israel. Events in the year 1955 in Israel. Events in the year 1954 in Israel. Wikimedia Commons has media related to 1979 in Israel .